Jeffry Volk, president and CEO of Moore Engineering, Inc., announced today that Kevin Bucholz will take over as president of the company effective July 1, 2018. Volk will remain CEO, focusing on corporate governance, strategic alliances, managing the ESOP and growth opportunities. 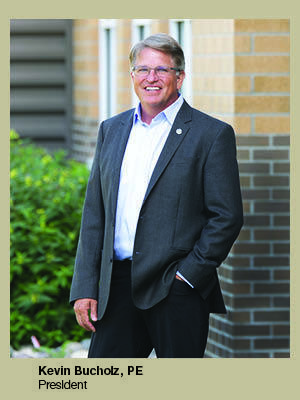 As a principal at Moore, Bucholz was the City of West Fargo’s designated city engineer from 1992 through 2016. Since then, he has been the company’s Minnesota regional manager, where he supervised the opening of Moore’s St. Cloud office and drove business development activity there. He began his career at Moore in 1987 after two years with the U.S. Army Corps of Engineers. He earned his bachelor’s degree in civil engineering from North Dakota State University, and is a licensed professional engineer in North Dakota. With over 160 employees and five offices in two states, Moore has a bigger footprint than when brothers Kip and Marshall Moore hung their engineering shingle in 1960. The partnership moved to West Fargo in 1964 and incorporated in 1970. When Kip Moore retired in 1998, the employee ownership structure was formed. Moore Engineering became 100 percent employee owned in 2004. 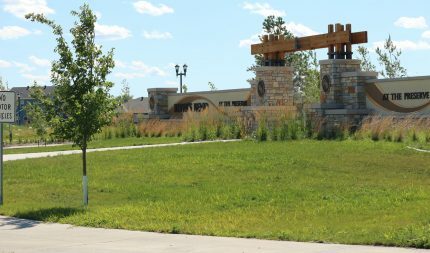 The company has made its mark in the Red River Valley through its work with dozens of cities and prominent flood control projects. For example, in addition to the Maple River Dam, Volk was also the lead engineer on the Sheyenne River diversion that made West Fargo’s southern development possible. Since 1999, nine sections of land south of Interstate 94 have been annexed into the city and developed into commercial and residential properties. The city’s population has more than doubled since 2000, to nearly 35,000 people in 2016, making it North Dakota’s fastest growing city during that period. 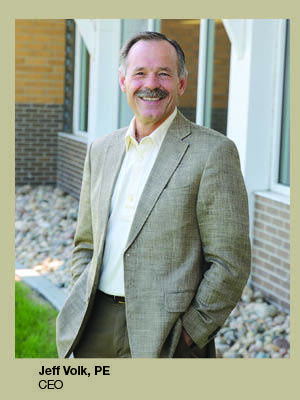 As city engineer, Bucholz helped West Fargo manage its rapid development. Moore Engineering opened its building on West Fargo’s Tenth Avenue in 2008, and soon after completed an addition that increased the building’s footprint by a third. By 2017, Moore required even more space, so its water resources group moved to West Fargo’s new Sheyenne Plaza.